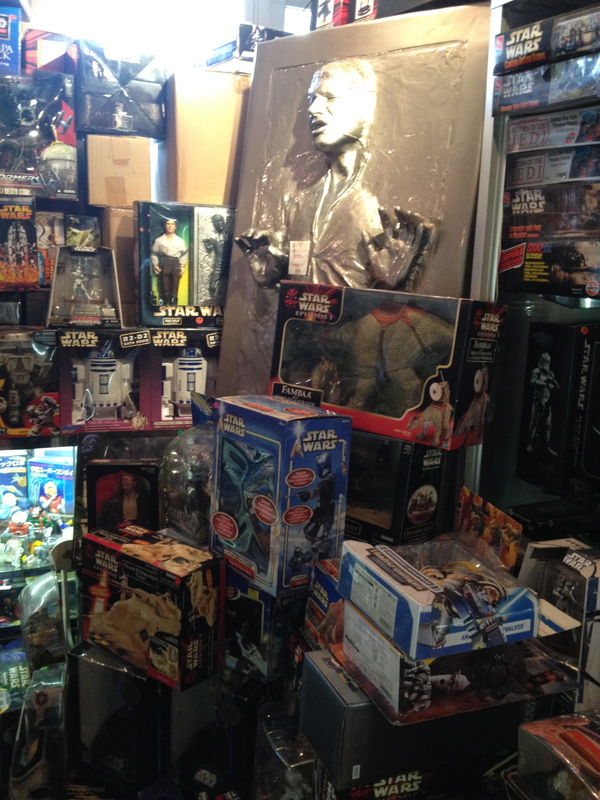 Star Wars Shop In Tokyo! When I went first went there it was closed but as I finished work very early on a Saturday last month I thought I’d try again and I wasn’t disappointed. Located on the second floor at the end of a shopping street ‘Star Case’ (below) is not much to look at from the outside with just a window displaying old and slightly yellowing full-size cardboard characters. 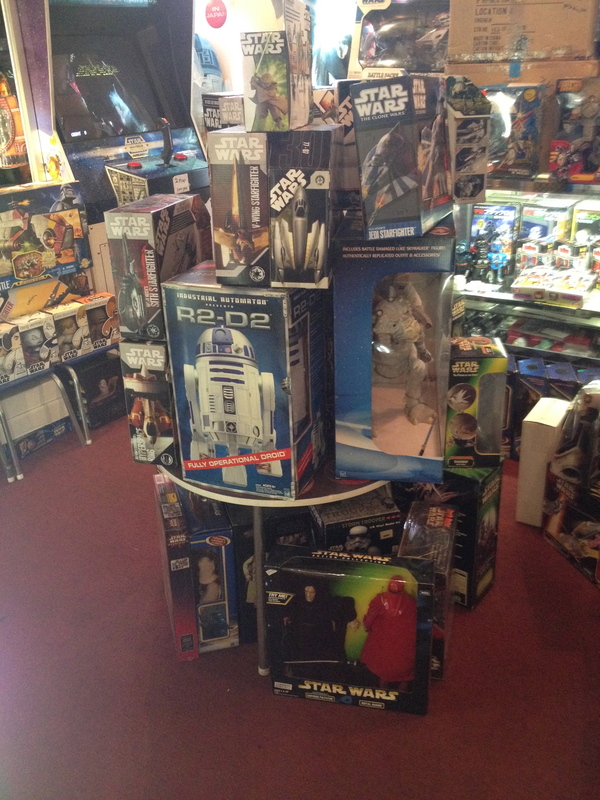 It’s a small shop inside but is absolutely packed with Star Wars related stuff with the majority of it being figures which isn’t something I want to get into. 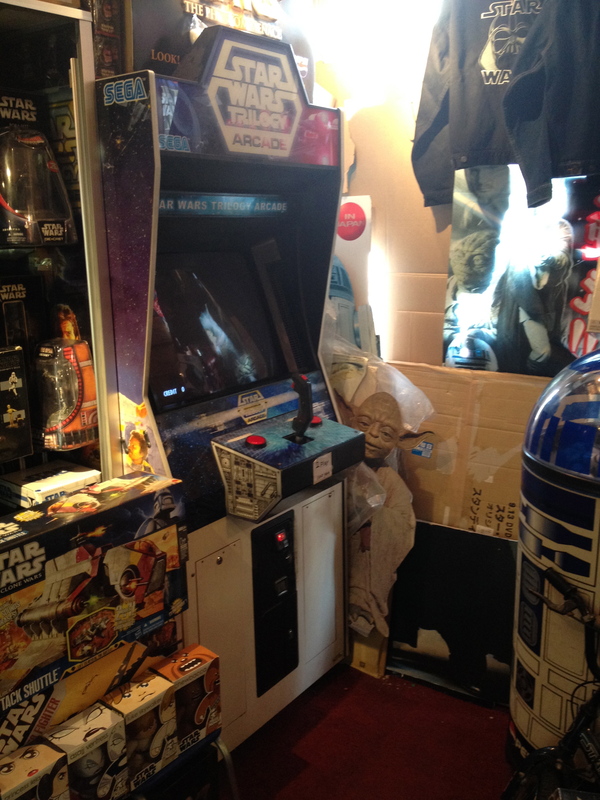 More of interest were the weirder items which have come out over the years such as a BMX, a video-game machine, curtains, posters, vintage soap, badges, cards, stickers, Pepsi-related products and so many more things which have carried the Star Wars logo over the last 33 years. Needless to say, I bought a load more stuff to add to my growing collection. I’ve heard photo’s are not really allowed in the shop but managed to take a few cheeky ones. Take the Sobu Line to Koenji station. Leave by the North Exit. Across the road in the top left corner is a 7-11 (below) and a shopping street. Head for this and walk down the shopping street all the way to the end. Turn left and at the end of that lane you will see ‘Star Case’ on the second floor. It is open from 1-7pm everyday except Tuesday’s. 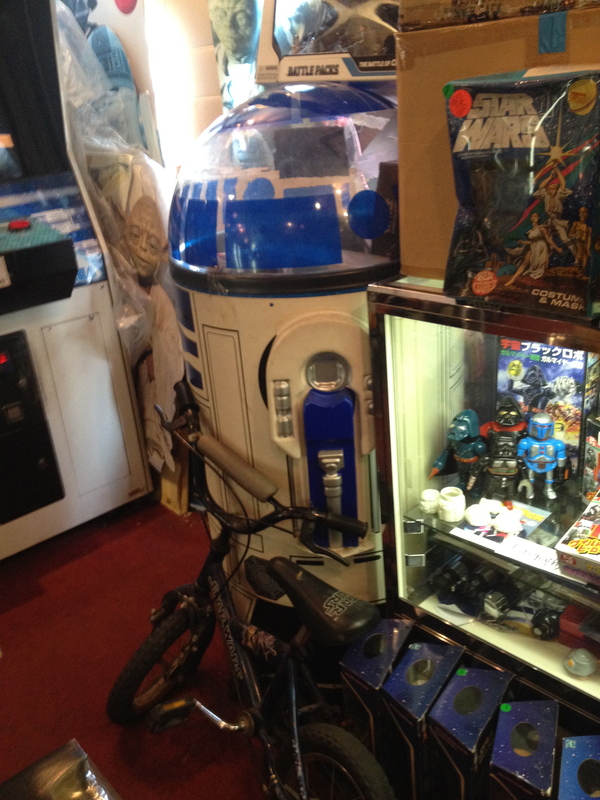 This entry was posted in Films, Japan Life, Star Wars and tagged Amanaya Building, collectors showcase, directions to star wars shop, Star Case Star Wars Tokyo, Star wars shop Koenji, Star Wars shop Tokyo, Suginami ku, where is the star wars shop in tokyo? star case koenji. Bookmark the permalink. 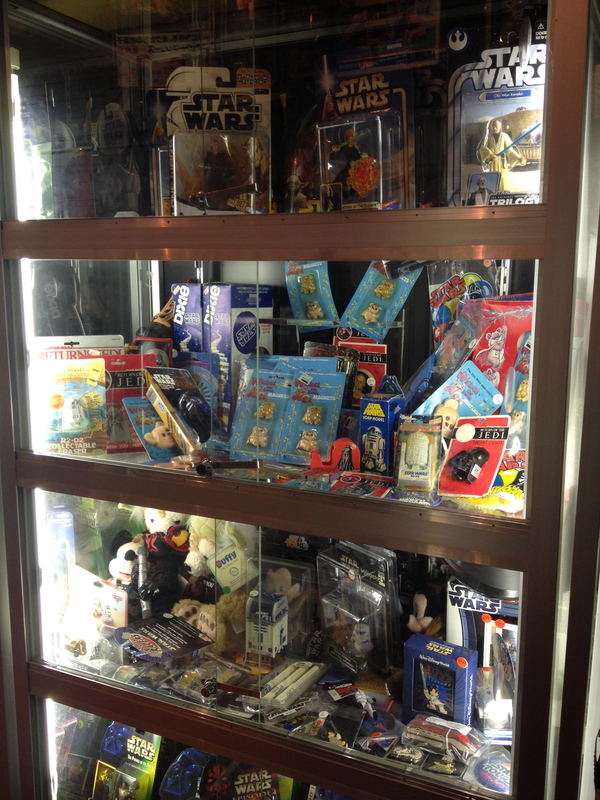 16 Responses to Star Wars Shop In Tokyo! Do you have an address for this shop I can plug into Google? Soon i’ll came to Tokyo. 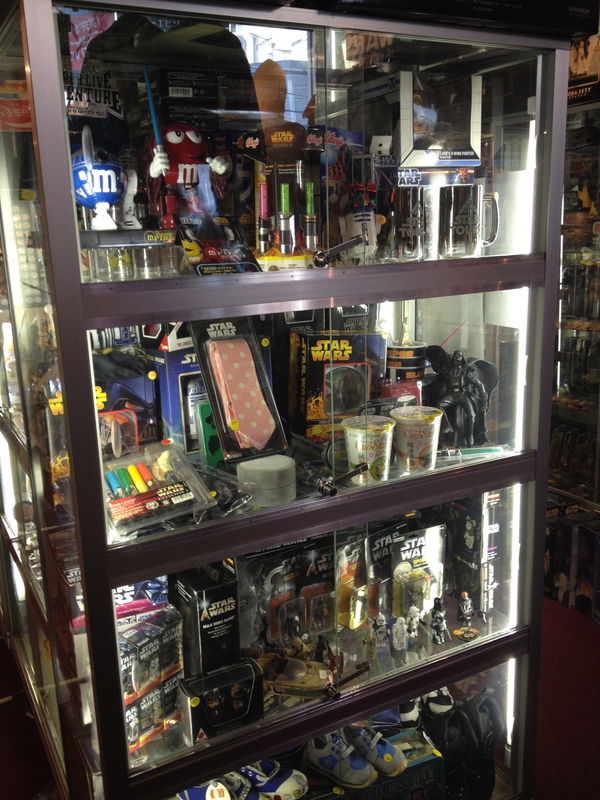 In this shop i can find also lightsaber Replica or Force FX lightsaber (the 1:1 version not the toy)? Eventually where i can go to buy them for cheap? Akihabara? 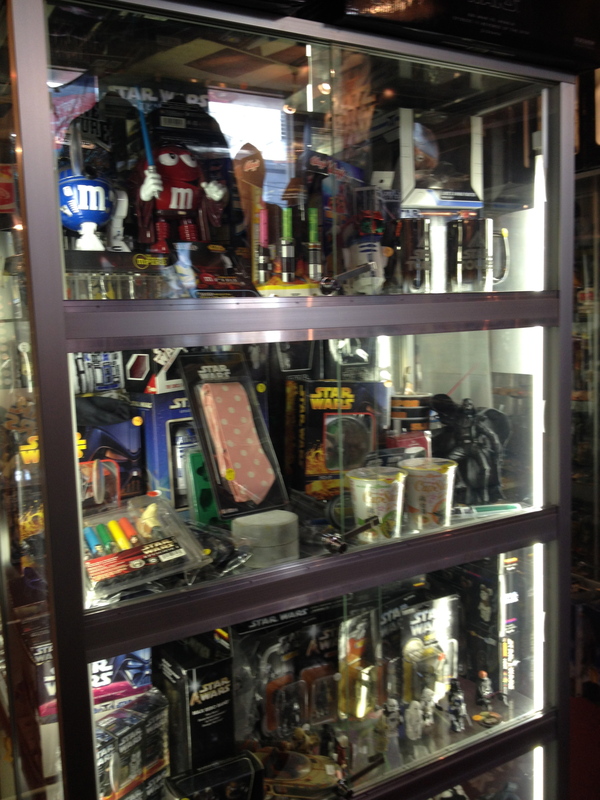 never really seen too much star wars stuff in akihabara. Other than Star Case I’m not too sure to be honest. Maybe the Tokyu Hands department stores (all over Tokyo) have them but can’t see them being cheap anywhere I’m afraid! Online is your best bet but I’m sure you know that!! good luck!